We’re continuing our work on the Nokia N9 review and we have another bit to share with you – a quick look at the new camera. It’s a clever system that Damian Dinning (Nokia’s camera guru) explained at length, but we decided to do a quick test ourselves. 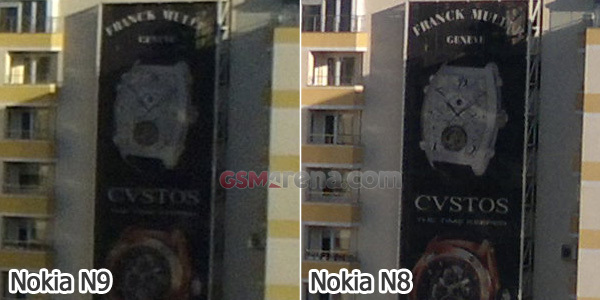 We took two shots with the N9 and the Nokia N8, check out the camera samples after the break. We also prepared 100% crops to highlight the differences between the two phones. 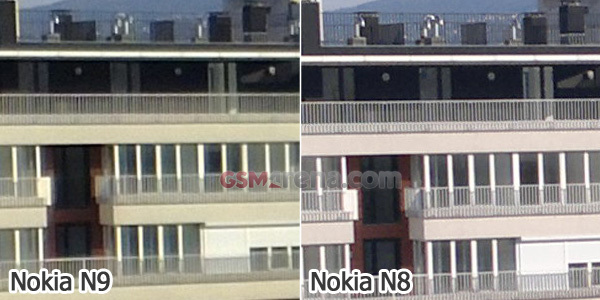 The Nokia N9 captures 8MP images while the N8 goes up to 12MP. Still, the newcomer fared pretty well against the imaging king. 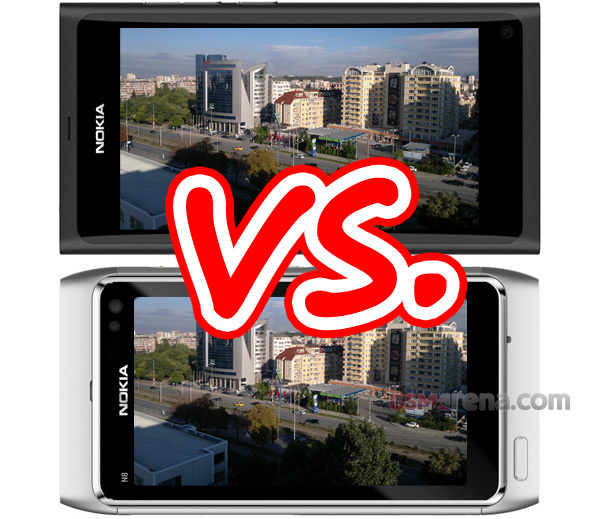 Now, you gotta understand that we’re not pitting the N9 against the N8 just to laugh in its proverbial 8 megapixel face. No, we’re going for this test to see whether the advancements in technology have allowed this year’s 8 megapixel phones to catch up with last year’s 12MP cameraphone king. Photos from the MeeGo handset look more processed and (understandably) don’t quite have as much detail, but they are close, which speaks a lot for the N9 camera. 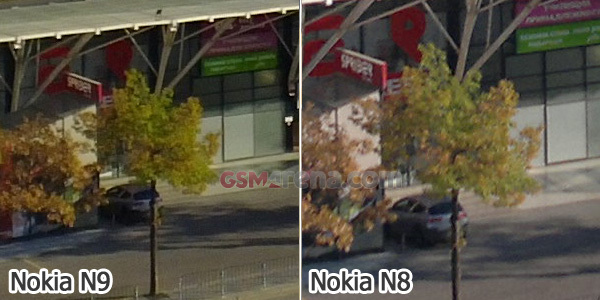 The dynamic range of both sensors is quite similar, despite the N9 making use of a physically smaller sensor. It’s noisier though. And here are the promised 100% crops. Note that we upscaled the Nokia N9 photos to 12MP resolution to make this one fair. Stay tuned for the review of the Nokia N9, it promises to be a very interesting one.